Very attractive layout. All that I can remember about this movie I’v been watching a long time ago is the music, very beautiful. I’ve found that this Western ranks among many peoples favorites. Surely has a great cast and some powerful scenes. The fiancé is annoying from the start. Which makes a captivating start. The horse riding and stunts that ensue are exceptional. The storyline is constantly interesting. The scene with “Old Thunder” is so stereotypical its almost ridiculous but works so well as natural sound is used, not packed full of music. The music in this film however, when it is used is superb. 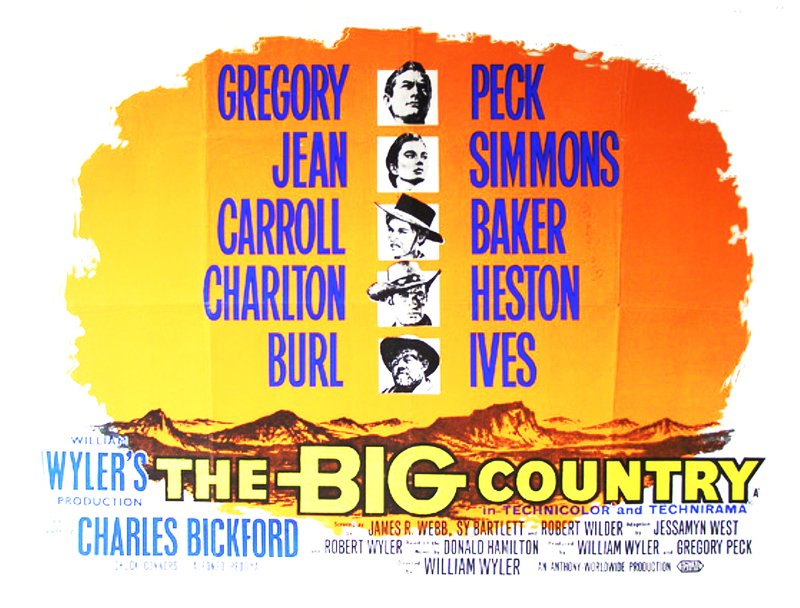 I just love this film and would rate it in my top 20 westerns. Excellent comments – thank you. 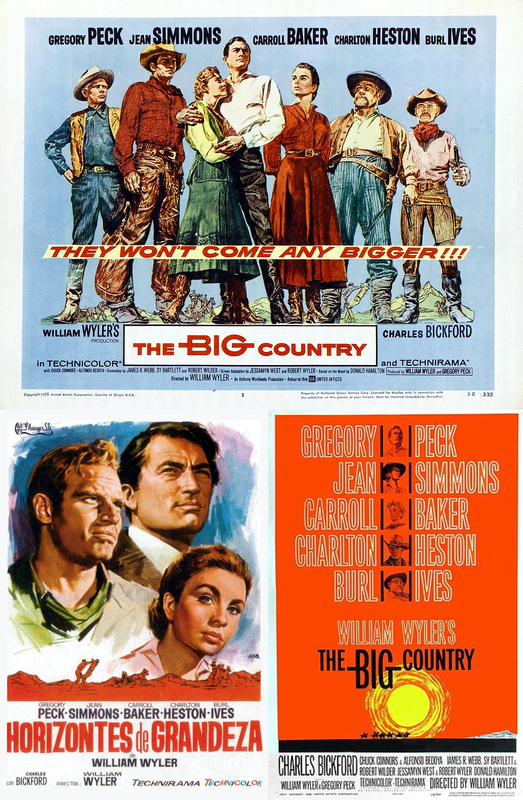 Yeah, definitely a Classic – has all the ingredients: Great cast; excellent writing/dialogue; action … many great scenes. I’ve watched it many times. My only beef is the ending confrontation between the two main protagonists – which I find to be bit weak – but everything else that builds up to it is marvelous. This is a beautifully made movie. It obviously has a strong cast. 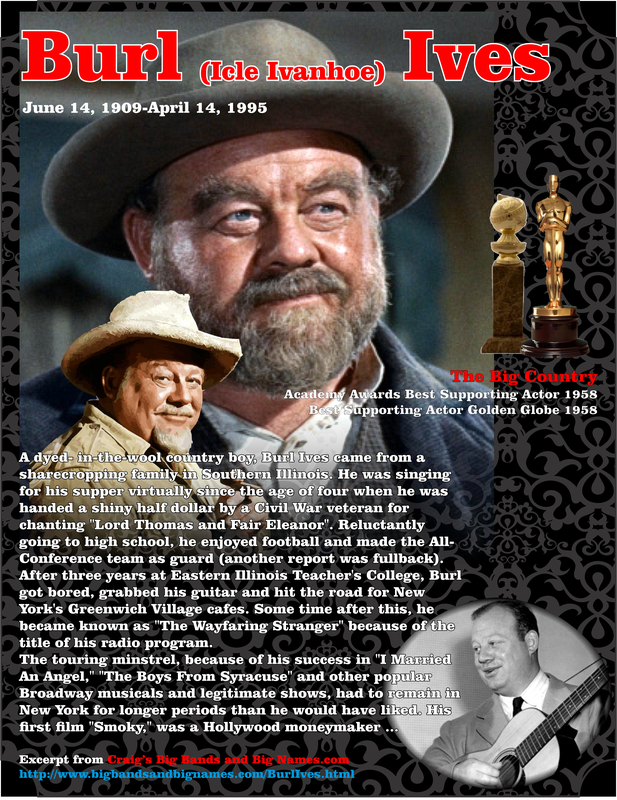 I particularly like Chuck Conners as Burl Ives’ worthless son. What really impressed me about the movie was the camera work and the cinematography. 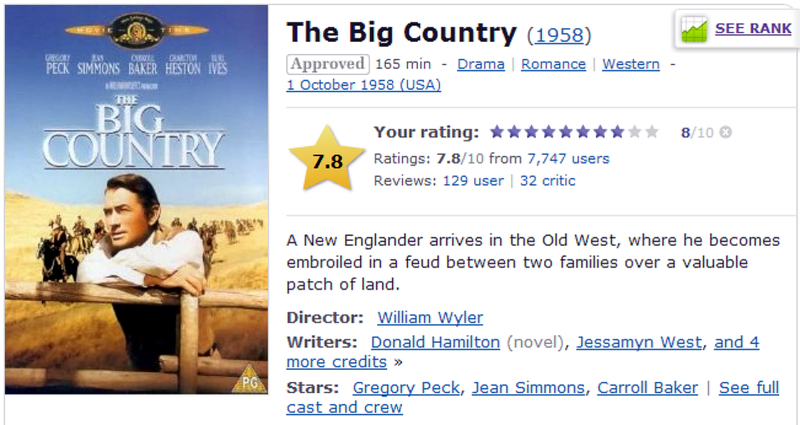 Wyler does a good job of capturing the vastness of the land and how the people are very tiny in comparison. Great music, as you mentioned, and great scenery. It reminded me of the way David Lean used the desert in Lawrence of Arabia. Another Classic – great cast. Everybody fits perfectly. Another movie that might be a good re-make. But where do you find a Heston or a Peck? 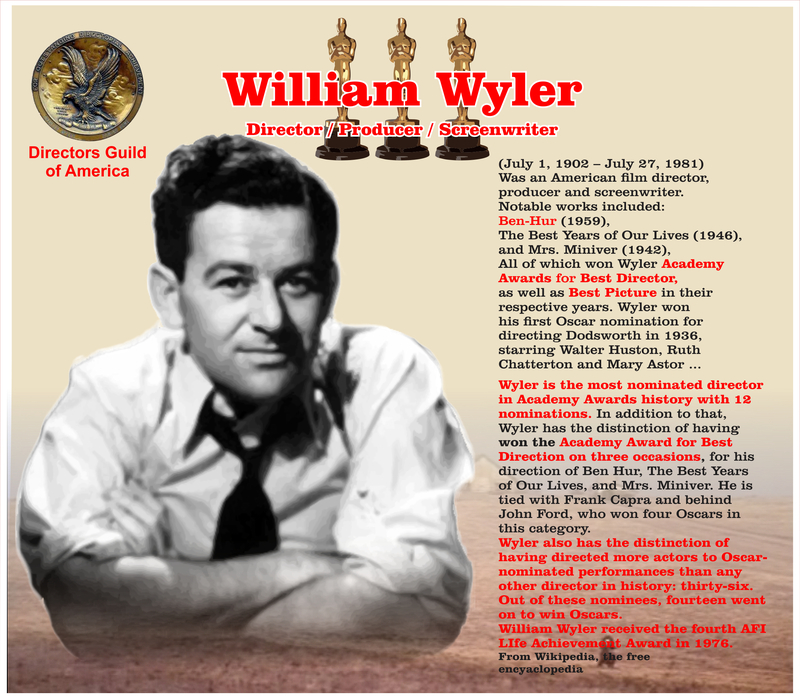 Or a Wyler for that matter. You’re right! he was an important character in that movie. Especially the scene where Peck rides Old Thunder. I didn’t recall that line from Treasures of the Sierra Madre. It’s a classic. Thanks. Just to point out an interesting fact about the famous line from “The Treasure of the Sierra Madre” (Which could also be considered a Western to some people). Just a bit of totally useless trivia. I seem to have a lot of useless information. It’s notable how a lot of quotes have seen some poetic license over the years. Due to greater accessibility in our modern age we might see less of that now. ??? 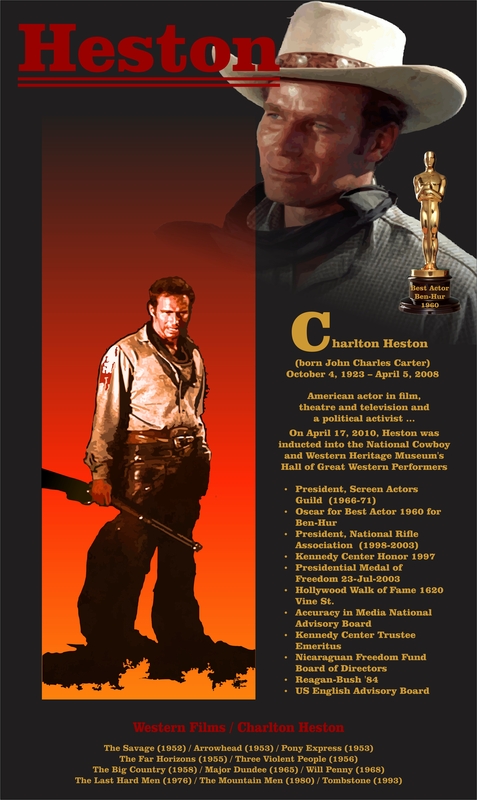 And YES, I do think quite a few folks would consider “The Treasure of the Sierra Madre” a Western. It has the flavor.